Every family caregiver strives to do an excellent job. After all, the wellbeing of older adults depends on the quality of care they receive. However, many caregivers constantly wonder whether they’re doing enough to keep their loved ones healthy and safe. Individuals with the following qualities are more likely to succeed in their caregiving endeavors. Patience is one of the key traits of a good caregiver. Because caregiving is a stressful job, it’s only natural to feel angry, irritated, or anxious. Good caregivers experience several negative emotions, but they don’t take them out on others. Even when you’re feeling irritated with your loved one, take a deep breath and collect yourself. Respond to difficult situations with patience, rather than anger or hostility. Caregivers also need to be able to think on their feet. Life often throws curveballs ranging from unexpected medical emergencies to last minute scheduling crises. To handle these situations, you need to be flexible, calm, and creative. If you aren’t willing to compromise when confronted with unexpected situations, you may have difficulty managing your responsibilities. The daily life of a caregiver is often full of stressful situations. Oftentimes, caregivers are irritated by confusing healthcare policies and long wait times at the doctor’s office. Sometimes caregivers feel angry at their loved ones, which is an inevitable consequence of spending so much time together. The best caregivers are guided by compassion. When your loved one is getting on your nerves, consider the situation from his or her perspective. Being a caregiver is challenging, but being a senior who needs care is equally difficult. Once you understand this, you’ll be better able to use empathy to overcome interpersonal conflicts. Caregiving is a challenging job, especially if it’s managed alone. Families who find it difficult to care for their aging loved ones without assistance can benefit greatly from professional respite care. Portland, ME, family caregivers who need a break from their caregiving duties can turn to Home Care Assistance. Using our proprietary Balanced Care Method, our respite caregivers can encourage your loved one to eat well, exercise regularly, get plenty of mental and social stimulation, and focus on other lifestyle factors that promote longevity. Ensuring effective communication is important, especially when caring for a parent with dementia or another serious health issue. Effective communication involves correctly understanding and interpreting a loved one’s gestures, facial expressions, and unfinished sentences. Good caregivers don’t necessarily get it right every time, but they always try. Effective caregivers are often capable of monitoring their loved one’s vital signs and offering other valuable caregiving services. Most family caregivers don’t start the job with tons of medical knowledge. They assess their shortcomings and learn the skills they need to succeed. With practice, caregivers can hone their skills and provide effective care. 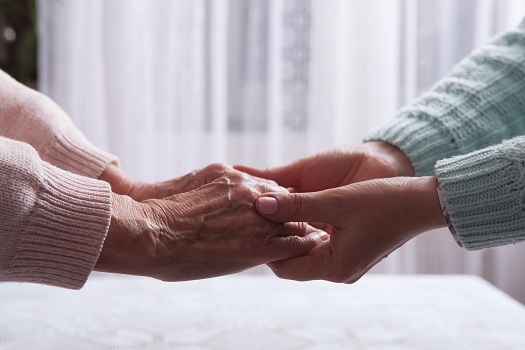 One of the most challenging tasks of helping an elderly relative age in place safely and comfortably is researching agencies that provide Dementia care. Portland families can turn to Home Care Assistance for reliable, high-quality in-home care for aging adults. We offer 24-hour live-in care for seniors who require extensive assistance, and we also offer respite care for family caregivers who need a break from their caregiving duties. To schedule a free in-home consultation, give us a call at (207) 835-4849 today.